In the never ending desire to achieve an impossible utopia, Venezuela is living in a nightmare that may serve as the best evidence against government mismanagement. To be blunt, the people are starving. Roughly 75 percent of the country lost 19 pounds in 2016. This actually coincides with reports that Venezuelans were looking for food in the trash. It is not just food that Venezuelans seem to be running out of at the moment. The country is lacking medicine, toilet paper, and even goods for religious sacraments as well. All sorts of goods are disappearing from the country faster and faster. Meanwhile, their economy is in complete shambles. At the start of the year, inflation had hit 800 percent while their GDP had shrunk by 19 percent. To make matters worse, 2016 marked its third year of recession. Of course, the elite of the country have not seemed to notice the problems their citizens are facing. Accusations fly of the leaders of Venezuela living luxurious lifestyles despite the recession. Unsurprisingly, reports have the daughter of Venezuela’s last President Hugo Chavez at a networth of $4.2 billion. So the big question is: why is Venezuela falling apart? The simplest answer is government mismanagement as it started taking over the economy. 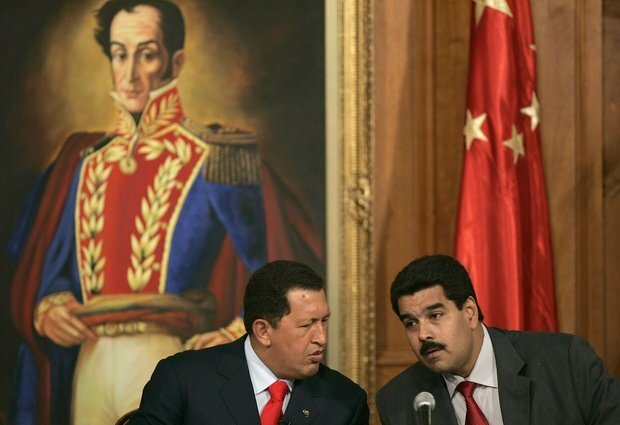 Under the watch of Socialists Hugo Chavez and his successor Nicolas Maduro, the socialist leadership in the country has greatly increased its influence in economic affairs, resulting in decreased investment, business failures, and scarcity. Over the past decade and a half, the Venezuelan government has nationalized multiple industries, including oil, agriculture, finance, steel, electricity, and telecommunications. Unsurprisingly, this led to significant ruin in the various industries it controlled, especially oil. Case in point, the Chavez regime largely underfunded the investment necessary to bring about increased oil production. Large portions of oil revenues were transferred to generous social programs but there was lackluster reinvestment to make sure that more oil was produced to keep revenue flowing. As a result, oil production starting dropping consistently after 2007 which saw a major decline in revenue (and helped lead to the debt that caused hyper inflation). Additionally, Chavez demanded more money from oil companies investing in the country and the ones that refused saw their assets seized. With such a clear lack of respect for human rights, it should come as no surprise that foreign investment has been on the decline recently in the country which is also hurting business and revenue. To make matters worse, many workers were fired and replaced with government loyalists. In one case, a company that had never created an oil well was hired to create several since it had ties to the government. The lack of experienced workers unsurprisingly has also added to the decline of the oil industry that was a huge part of the government’s revenue. Just about every industry the government has touched has fallen apart. Steel production was reduced by 70 percent after it was nationalized, food production has been on the decline while the government redistributed farmland for the production of food the land was not suited for, and the Venezuelan government is instituting blackouts to reduce consumption to reduce electricity use due to decreased supply. Overall, it seems Venezuela is in the process of running its economy into the ground. Venezuela has also added newer regulations and laws to improve the economic situation of its country that had the opposite effect. Case in point, the minimum wage was increased recently by 50 percent despite the fact overall wages still decreased by 17 percent. Other reports have increased labor protections actually hurting business while price controls that were implemented to reduce profits and keep prices low also helped to reduce food productions which also helped cause the food crisis. With all this in mind, it should come as no surprise that the number of businesses in Venezuela has gone down from 800,000 in 1998 to 230,000 in 2016, a decline of 570,000. It is important to remember though that none of this should even be looked at as being done as a love for the people from the state. As was noted by a former education minister, the goal of the people reforms is “‘not to take the people out of poverty so they become middle class and then turn into escuálidos’ (a derogatory term to denote opposition members).” Translation: it’s not for their benefit but to create a dependent class of supporters. For more evidence of how the government does not care about its people, look no further than its human rights records. The Maduro government has been seizing power by stacking the courts with supportive justices and then met the protests against that with violent crackdowns on dissenters. Meanwhile, accusations of sham elections are now flying in the wake of an election referendum to give him the power to rewrite the country’s constitution. In the end, the increase in power has come to the detriment of the people backed by phony promises. As is always the case, the promise of helping the people through government intervention completely falls apart. Just like with China and Russia, the result is always economic ruin with the well connected few reaping the benefits. Unfortunately, the US is not free from these mistakes as states like Connecticut or cities like Seattle implementing their own interventions in the economy that results in disaster. If the US wants to head down the path same economic path as Venezuela that leads to destruction and corruption, it will inevitably end there.